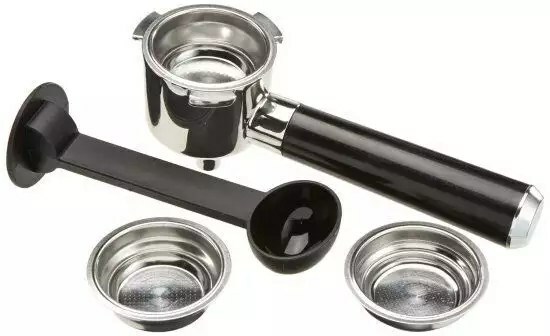 The maintenance of your espresso coffee is essential, and we want to bring in this article provides a list of tips and tricks to keep your espresso coffee maker in perfect condition.All express coffee tricks we collect below are perfectly tested and proven over a long time by users and experts from around the world. These are tips and tricks for coffee and very basic general use, but laziness or ignorance most users do not perform. The consequences of not applying these tricks for coffee ranging from risking a breakdown, to cause a much faster wear parts, going through what we believe is the most serious: gradually the taste of your coffee will deteriorate without to realize because of the accumulation of debris and impurities. So you know, read carefully the following list of tips for espresso machines (some are also used for capsule) and get down to work. Never overload the filter. This is a very common mistake especially in little experienced users. Do not fill the coffee filter to stop. Leave it about three quarters full, it will be sufficient to run well or do not have problems in the future. Press the coffee properly. Another common mistake in inexperienced users. The pressed coffee is placed once the filter is key to a good result then process. You must first address the recommendations of your coffee, because each machine can have different needs. But in general, if you press the coffee will come out very watery because the water will flow through it easily. Conversely, if you exceed the pressure you get you will create a sort of almost insurmountable wall for water … so the coffee will come out too thick. Make sure the thermostat works well. The coffee express your thermostat should always work perfectly. It is like the engine of your coffee. Just before the coffee filter, the ideal water temperature should be between 85 ° C and 95 ° C . If the temperature exceeds or falls, it is likely that your coffee thermostat malfunction.This is a serious problem: we suggest you to take her to your service or reputable dealer urgently. Check the pump pressure. The pressure pump must always operate at the level specified by the maker. You must make sure that the pressure is correct: if your coffee is 15 bar pressure and the coffee does not come to that intensity, you should adjust or repair service call. Avoid leaving standing water in the tank. If you do not use the appliance frequently, or if you go on vacation for a long period of time, it is important not to let water into the reservoir. If the water is not renewed often ends up leaving sediment and impurities that eventually affecting its taste and therefore to your coffee. Replace the water tank frequently and wash well in the dishwasher from time to time. Make sure the grinder work well. If your coffee grinder is, should try to keep in perfect condition because if your coffee is not going to spoil okay. The best way to check is to grind some coffee and watching the result: the grinding must be completely regular (more or less fine, but always regular). If you see that grinding leaves a thicker pieces than others and are distinguished by the naked eye … it’s time to change the blades of the mill. The coffee with steel mills break down more often than the much more durable ceramic grinders. This is because the steel is heated chafing and may even rust. Times extraction of coffee. A crucial unknown detail for most, if your working properly express coffee, coffee must come out in about 20 or 25 seconds. Neither more nor less than that time. The consequences are highly visible: If the coffee takes less drawn is that it has become very fast, will not have watery and color intensity. If coffee instead takes more than 25 seconds to go, it is that it is overly done. Its color is almost black. Often clean the components . The coffee does not have to be nice and shiny on the outside only. 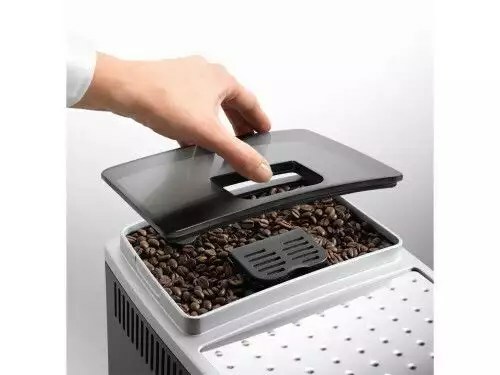 Rinse or frequently clean the brew group, water tank, especially filters and filter holder of your espresso coffee maker (this is the part that is always in contact with the coffee). The life of your coffee will be longer, and above all your coffee will know much better. Decalcifies your coffee frequently. The descaling process is crucial to keep your coffee or espresso capsules in perfect cleaning. If you’re not sure how descaling a coffee maker, see our guide descaling coffee for how to perform the process in each model … and do not miss because you can unwittingly be shortening the life of your coffee. How often you should descale your coffee it depends on several factors, including the number of coffees a day and prepare hard water you use. And you know some other trick to express coffee or coffee capsules worth mentioning here? Still all these tricks for coffee recommendations to the letter or make mistakes like most mortals?